DEFENSIVE PISTOL FOR THE CONCEALED CARRY – 2 Days – This course is designed to merge combative handgun techniques with everyday carry and concealment of the personal handgun. The course combines classroom and range time to give the student a solid understanding of what is eneded to deploy the combative handgun from a covering garment. TOPICS COVERED: *Developing the cobative mind – *Gun and holster selection – *Locating your own personal carry “sweet spot” – *Garment removal techniques – *Draw techniques (with an emphasis on belt carry) – *Enhancing combative pistol and holster skills – *Movement while shooting – *Seated shooting and shooting in/around vehicles – *Proper ID and engagement – AMMUNITION: 600 Rounds Pistol – EQUIPMENT REQUIRED: Wraparound eye protection, brimmed hat, pistol with three magazines, concealment style holster, and magazine pouch. – GENERAL COURSE INFORMATION: CLASS SIZE: Course will cover up to 24 students. DYNAMIC USE OF TARGET SYSTEMS – 2 Days – This course will provide a series of dynamic training exercises that will help you improve your live fire-training program. We will be incorporating a variety of target options that provide a pathway to improve the skills of your students. 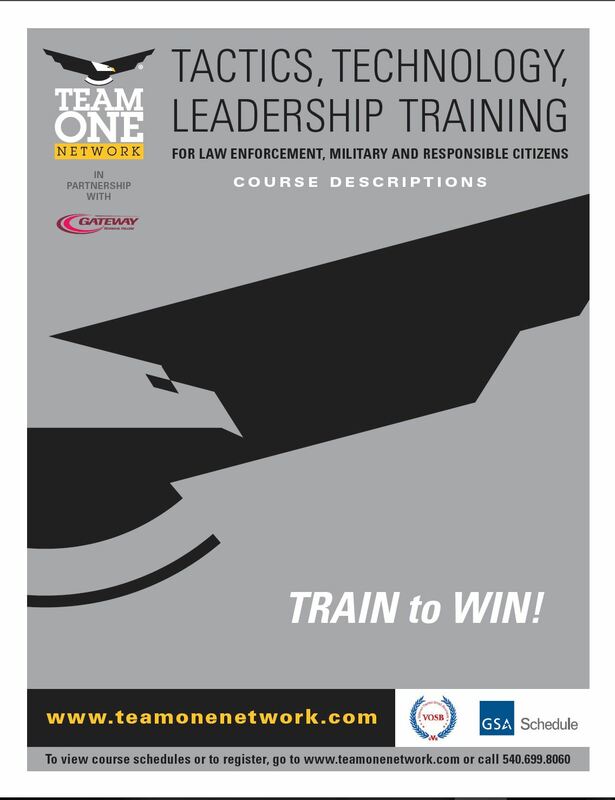 In law enforcement communities around the world, we know that realistic training is teh key to giving students the experience necessary to prevail in stressful situations. The course will offer some of our ideas on the use of a variety of targets in creating a building block approach to realistic training during live fire exercises. TARGETS TO INCLUDE: *Paper targets – *Three dimensional targets – *Range props – *Steel targets – *Reactive targets – *Turning and swinging targets – *Moving targets – AMMUNITION: 600 Rounds Pistol – EQUIPMENT REQUIRED: Wraparound eye protection, ear protection, brimmed hat, pistol with three magazines, Duty Belt with Holster and Magazine pouches. – GENERAL COURSE INFORMATION: CLASS SIZE: Course will cover up to 24 students. RANGE SAFETY OFFICER – 1 Day – The Range Safety Officer program was developed in response to the demand for a nationally recognized range safety officer certification. Range Safety Officers are people who possess the knowledge, skills, and attitude essential to organizing, conducting, and supervising safe shooting activities and range operations. 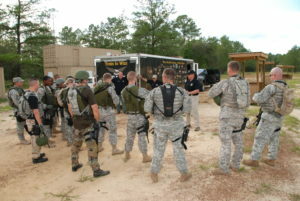 TOPICS COVERED: *The Role of the Range Safety Officer and Range Standard Operating Procedures – *Range Inspection and Range Rules – *Range Safety Briefing – *Emergency Procedures – *Firearm Stoppages and Malfunction – EQUIPMENT REQUIRED: Wraparound eye protection, ear protection, and brimmed hat. – GENERAL COURSE INFORMATION: CLASS SIZE: Course will cover up to 24 students. CHIEF RANGE SAFETY OFFICER – 2 Days – Chief Range Safety Officers are people who possess the knowledge, skills, and attitude essential to organizing, conducting, and supervising safe shooting activities and range operations. This course requires the NRA Range Safety Officer certifications as a prerequisite. The successful completion of this course will allow individuals to educate, train, and certify Range Safety Officers. 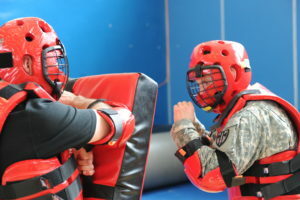 TOPICS COVERED: *Range Safety Officer’s roles and responsibilities – *Range standard operating procedures – *Range inspection and range rules – *Firearm stoppages and malfunctions – *Range Safety Briefings which include emergency procedures – EQUIPMENT REQUIRED: Wraparound eye protection, ear protection, and brimmed hat. – GENERAL COURSE INFORMATION: CLASS SIZE: Course will cover up to 24 students. REACTIVE STEEL TARGET INSTRUCTOR WORKSHOP – 2 Days – This concept is the underlying theory behind steel targets. For every shot that is on target, you get instant feedback from seeing the target react and hearing that satisfying “clang” as the bullet makes impact. While steel targets are a fantastic training tool, they add a level of safety considerations beyond traditional target shooting. Therefore, you have to consider what is behind the target as well as what could potentially be hit in the area the bullet is being redirected to. If that redirection is improper or inconsistent, it can pose a significant risk. This course will cover the many different types of steel targets and the proper and safe use of them. TOPICS COVERED: *Steel Reactive Targets: Safety and Use – *Steel Target Safety Rules – *Steel target design – *Angle of Defleciton – *Target Hardness – *Ammunition – *Inspection – *Target Placement – TARGETS TO INCLUDE: *Plate racks – *Pepper poppers – *Silhouettes w/ hostage and pelvic targets – *IDPA and Tactical torsos with reactive centers and heads – *Dueling trees – AMMUNITION: 600 Rounds Pistol – EQUIPMENT REQUIRED: Wraparound eye protection, ear protection, brimmed hat, pistol with three magazines, Duty belt with holster and magazine pouches. – GENERAL COURSE INFORMATION: CLASS SIZE: Course will cover up to 24 students. RUSSIAN FIREARMS FAMILIARIZATION – 3 Days – At the end of this intensive three day course, students will receive a certification equivalent to the Armed Forces Russian Weapons Familiarization Course certificate. Through a mix of classroom work and range time, students will fire a range of Russian weapons, including the Makarov PM, the AK-47 and AK-74, the AK-100 series, and the RPD light machine gun. Other weapons that will be examined, handled, and disassembled include the PK and PKM heavy machine guns (equivalent to the US M60), and the RPG-7, with both electro-optical and iron sights. TOPICS COVERED: *Nomenclature and ballistics – *Tactical assembly and disassembly procedures – *Firing characteristics – *Sighting – *Live fire familiarization – Ammunition: Provided by Team One Network and included in course cost – Equipment required: Wrap-around eye protection, hearing protection and a brimmed hat. – GENERAL COURSE INFORMATION: CLASS SIZE: Course cost will cover up to 24 students. THE POLICE 1911 PISTOL – 3 Days – Course is for the Police Officer who carries a 1911 single action pistol. The course involves both classroom and range time for a complete understanding of the capabilities of the 1911 pistol, and sound techniques for its use. Ammunition: 1000 rounds – Equipment required: Wrap-around eye and hearing protection, gun belt with holster and magazine pouch. Minimum of 3 magazines. Flashlight. – TOPICS COVERED: *User level breakdown and assembly – *User level maintenance and lubrication – *Spare parts replacement for the 1911 – *Holster selection – *Presentation and draw – *Combat shooting techniques – *Rapid reload options – *Shooting on the move – *Shooting in reduced light environments – *Multiple target engagement – *Single handed firing – *Positions other than standing – * Incapacitation Lecture – *Ammunition lecture GENERAL COURSE INFORMATION: Course cost will cover up to 24 students. PISTOL OPERATIONS – 3 Days – This course focuses on the development of practical, close-quarters shooting skills that can save officers’ lives in real-world situations. TOPICS COVERED: *Pistol safety and handling – *Tactical Reload – *Stoppage Drills – *Weapons Retention – *Low Light Techniques – *Draw-and-Fire Excercises – *Low-light Scenarios – *Strong Hand/Support Hand Shooting Techniques – *Multiple Targets – *Shooting on the Move – GENERAL COURSE INFORMATION: CLASS SIZE: Course cost will cover up yo 24 students. Fred Yates teaching Tactical Pistol Operations to CID Agents at Fort Lewis, WA. LONG RANGE PRECISION SHOOTING – 3 Days – A three day shooting school that will give the designated marksman the opportunity to shoot from distances of 100 yards to 1000 yards. Minimal time will be spent in the classroom reviewing scope adjustments, minutes of angle, maintenance, data books, determining wind values, and basic shooting positions. Shooters will fire from 100, 200, 400, 600, 700, 800 and 1,000 yards. In addition to firing their own weapons, Team One Network and Savage Arms will furnish several Savage 110 BA .338 Lapuas with scopes and ammunition for fire from the longer distances. GENERAL COURSE INFORMATION: Course cost will cover up to 24 students. 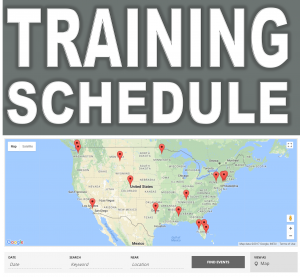 BENELLI SHOTGUN ARMORER COURSES – 2 Days – Benelli shotgun Armorer courses are designed for law enforcement/military personnel who are responsible for Benelli shotgun preventative maintenance, checks and service (PMCS). Each course is structured to provide each student with a practical understanding of the advanced features that make Benelli shotguns unique. Students will gain armorer level, hands-on experience with the following Benelli shotgun systems: M1/M2, with Inertia Rotary Bolt System and M4 with the patented unique Auto Regulating Gas Operated (ARGO) System; Vinci Tactical Shotgun, with In-Line, Inertia-Driven®, 3-Piece Modular System (new for 2014); and Nova/SuperNova Polymer Technology Pump Action Shotgun. These courses provide complete and detailed answers to specific questions concerning the weapons mechanical functioning, operational procedure, field stripping and armorer detailed stripping, inspection(s), troubleshooting, and corrective actions/maintenance. – TOPICS COVERED: *Nomenclature – *Operator Use – *Cycle of functioning – *Field & detail stripping – *Care & cleaning – *Troubleshooting – *Preventive & corrective maintenance – Equipment required: Armorer Tools and Benelli shotguns are provided for use in the classes. – NOTE: The above Armorer Courses are authorized Benelli field schools. Students who successfully complete each course will receive Benelli Certification. GENERAL COURSE INFORMATION: CLASS SIZE: Course cost will cover up to 24 students. IED/EXPLOSIVES AWARENESS COURSE – 2 Days – IED/Explosives Awareness Training is designed to provide the knowledge and skills for First Responders to not only identify potential explosive threats, but identify the key components critical for determining response procedures. Attendees will participate in classroom lecture and practical labs designed to enhance understanding how IEDs function and practical exercises focusing on the identification of an array of IEDs, their components, and triggering mechanisms. TOPICS COVERED: *Energetic Material Orientation & Terminology – *Forms of Energy Release – *Explosives & Their Methods of Initiation – *EID & Booby-Trap Recognition – *Homeade Explosives (HME) Orientation: Precursor Chemicals and HME Manufactureing Equipment – *Blast Pathology – *IED Manufacture Practical Exercise – GENERAL COURSE INFORMATION: CLASS SIZE: Course will cover up to 24 students. BASIC SURREPTITIOUS ENTRY AND LOCKING MECHANISM DEFEAT TRAINING – 2 Days – Basic Surreptitious Entry (S-Entry) & Locking Mechanism Defeat Training focuses on providing a working knowledge of various lock designs and proficiency with the employment of the basic/advanced tools and techniques to manipulate and/or defeat locking mechanisms. S-Entry Training includes detailed instruction and practical application of S-Entry TTPs through hands on practical exercises specifically designed to reinforce the operator’s proficiency in the use of basic/advanced entry tools and improvised manipulation to bypass and defeat locks andlocking mechanisms. TOPICS COVERED: *Subtle Mechanical Entry Overview – *Lock Picking and Locking Mehanism Bypass: Pin Tumbler Locks, Wafer Locks, Warded Locks, Comination Locks, Pad Locks, & Tublar Locks – *Tool Selection and Techniques of Use – *Vehicle Security Defeat: Auto Locs and Locking Mechanisms for Domestic & Japanese Autos, Vehicle Access (Tools and Equipment, Vehicle Selection, Vehicle Entry Techniques) & Vehicle Access Practical Exercises. Course Requirements: Active Military, Law Enforcement, or other Government. – GENERAL COURSE INFORMATION: CLASS SIZE: Course will cover up to 24 students. BASIC ATV SAFETY AND LAW ENFORCEMENT PATROL TECHNIQUES – 3 Days – This 3-Day course is designed to certify officers in ATV Saftety to comply with state laws. The course will be a combination of classroom, scenario and outdoor training. At the completion of this course the officers will not be expert riders, but safe riders. The course is designed to provide the officers with a chance to become familiar with ATV operation and patrol techniques in a controlled setting. Officers will learn about ATV laws, ATV maintenance/safety checks, proper riding techniques, proper riding gear, how to conduct law enforcement stops/pursuits, and officer safety concerns unique to ATV enforcement. The course wil also teach officerss how to effectively work in pairs and communicate while on patrol. Officers will be exposed to scenarios that will get them used to drawing their firearm and seeking available cover while conducting ATV patrol. This course will help reduce departmental ATV accidents, injuries and property damage. All officers born on aor after January 1, 1988 must complete an ATV safety class to legally operate an ATV within the state of Wisconsin. OBJECTIVES: *Officers will be able to demonstrate and effectively operate an ATV in a safe manner – *Officers born on or after January 1st, 1988 will be able to legally operate an ATV – *Officers will be able to effectively work in pairs and conduct ATV enforcement – *Officers will become familiar wit officer safety issues when pursuing or attempting to stop an ATV – *Officers will be able to identify ATV violations – *Officers will be able to demonstrate drawing their firearm and proper use of cover/concealment that ATVs can provide – *Officers will have become familiar with their departmental ATV and how to safely operate it. – GENERAL COURSE INFORMATION: CLASS SIZE: Course will cover up to 24 students. Gary Monreal teaching Active Shooter Response to Military Police and Polizei in a joint training event in Wiesbaden, Germany.